Here’s my proton song, new and improved! Hey! I’m not sure if you repost this picture or this is your picture. But just on case…..
Our science Olympiad team is making a team T-shirt and thought this photo was extremely cute. 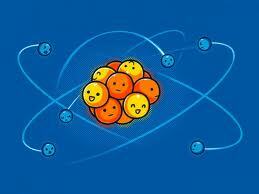 We were going to use this oic with think like a proton and stay positive. I was wondering( if you do hold copyright for this picture or made this photo) if its okay if we use this picture for our shirt. I do not hold the copyright for the pic and I posted this so long ago I don’t remember where I found it. I hope you find it though! Good luck!